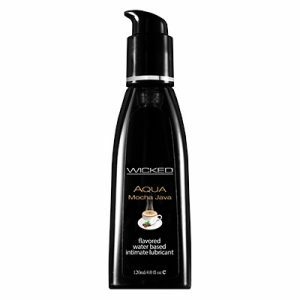 The Wicked Vanilla Bean Flavoured lubricant gives a natural vanilla taste that we all recognise. The taste explosion that will bring a smile to anyone's face. The Wicked range of flavoured lubricants are all water based, made with natural flavouring and all highly delicious! The Wicked Vanilla Bean Flavoured lubricant gives a natural vanilla taste that we all recognise. The taste explosion that will bring a smile to anyone’s face.